Now that it’s finally getting cool outside, its time to start putting together chic outfits for the fall. 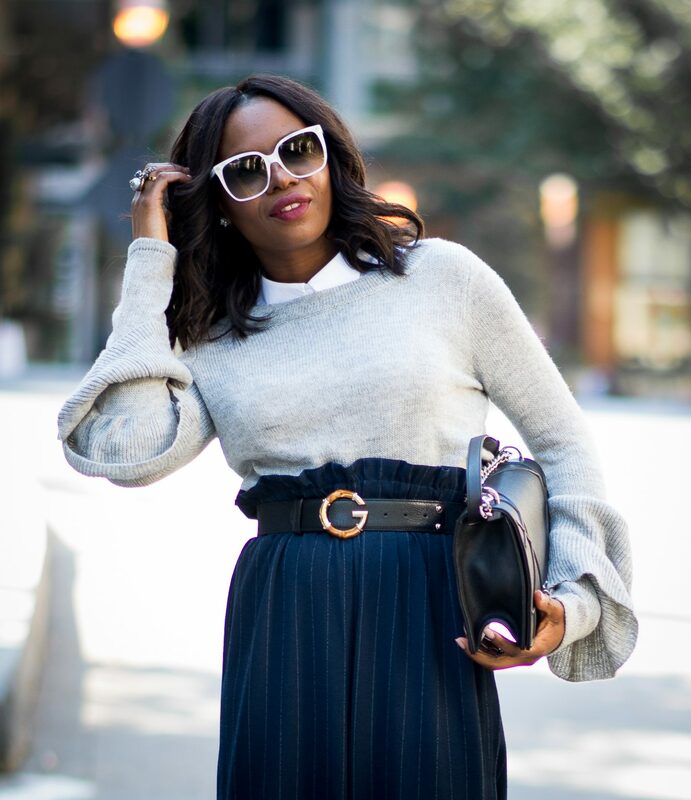 Todays outfit post highlights the fun, and stylish bell sleeve trend. We were first introduced to this trend last season, and it did so well that almost all brands reintroduced it for fall/winter 17. 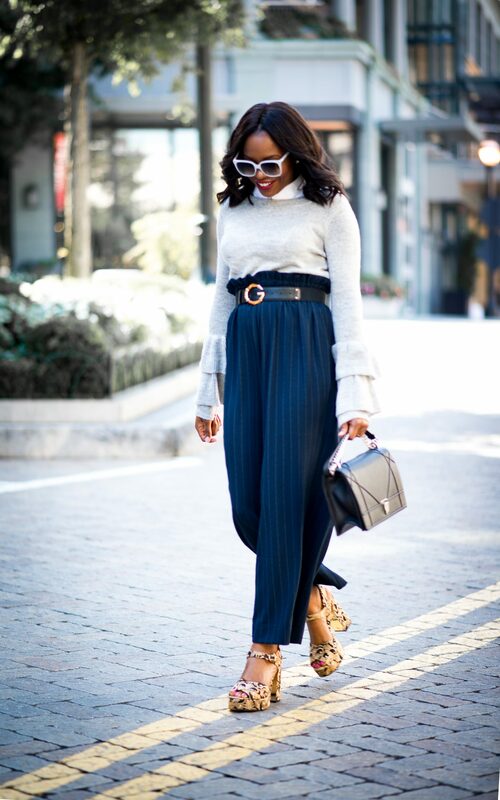 In order to add a touch of chic to your bell sleeve top, you have to pair it with the right pieces. 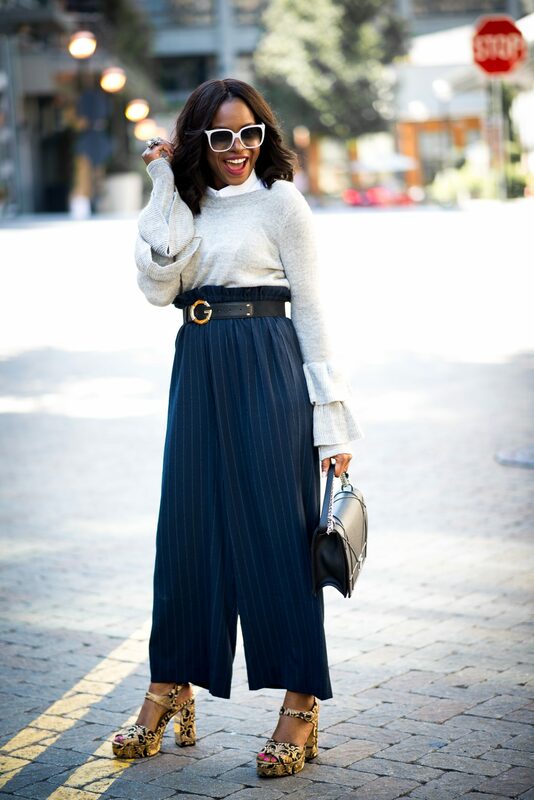 For this look I paired the top with a pair of classic pinstripe high-waist pants. I also layered the top with a white collar. The collar elevates the top and gives it a classic appeal. 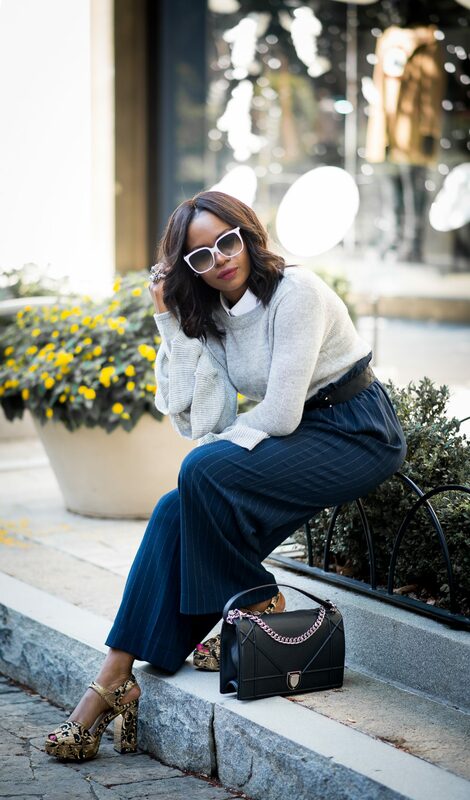 A pair of gold and black sandals compliments the overall look, creating the perfect fall-winter chic outfit of the day.